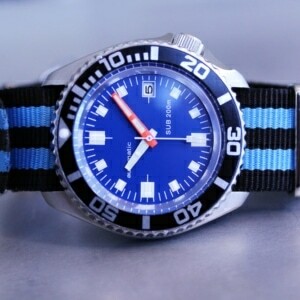 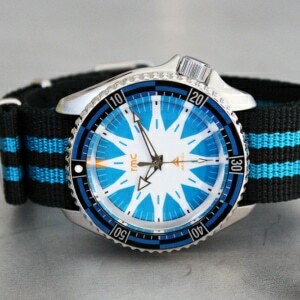 One of the very limited Oban Diver cases comes to life in Explorer form. 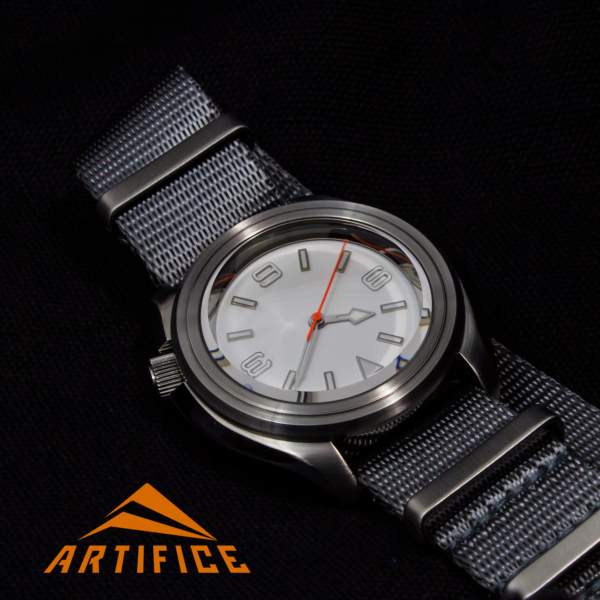 Sporting a contemporary, minimalist look, the Oban Arctic Explorer provides information at a glance, without unnecessary markings or features. 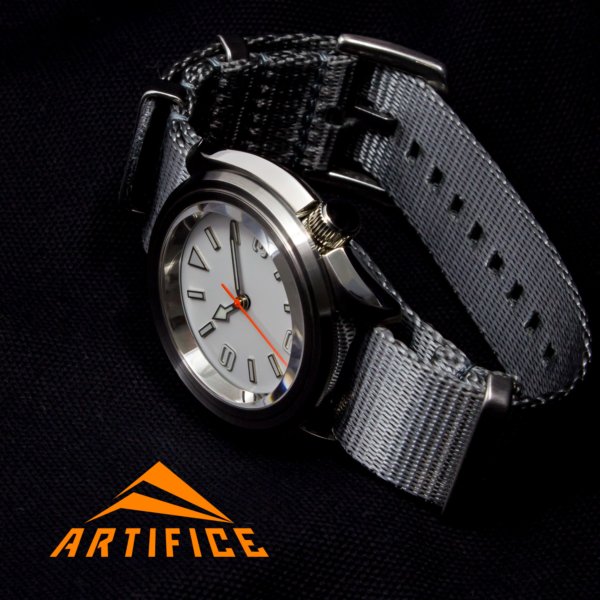 The dual clear anti-reflective coating sapphire creates a nearly "not-there" effect. 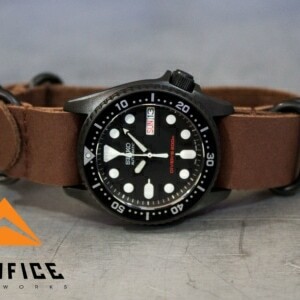 Ready for a day at the beach, the office, or a night out. 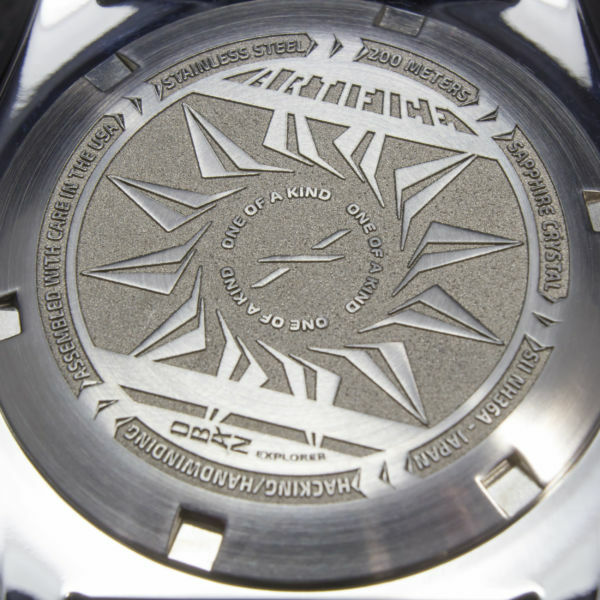 One of a kind nature is noted with custom "1/1" Artifice Oban Explorer case back. 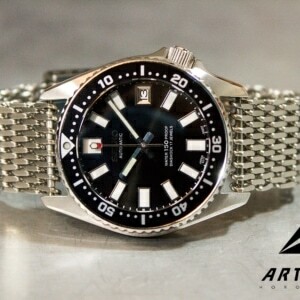 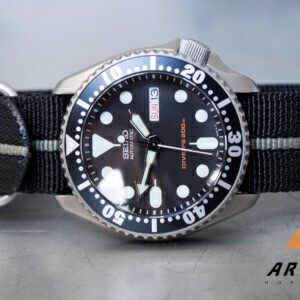 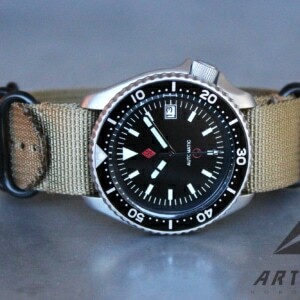 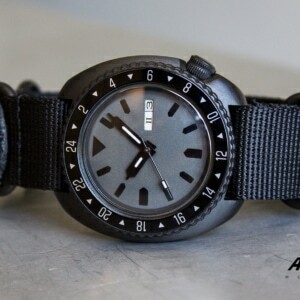 Oban lugs will accept any SKX007 bracelet endlinks. 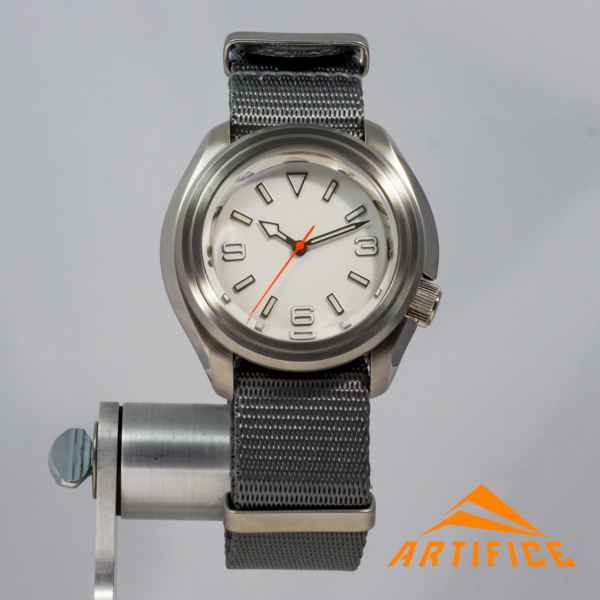 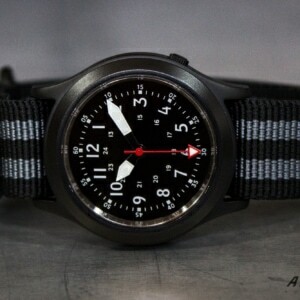 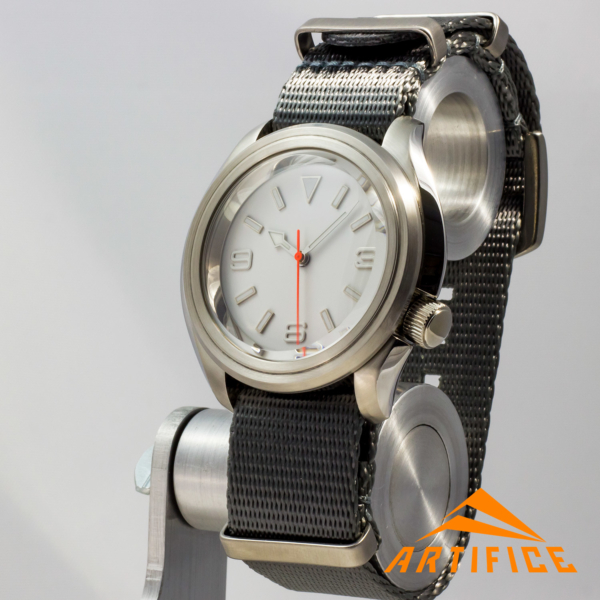 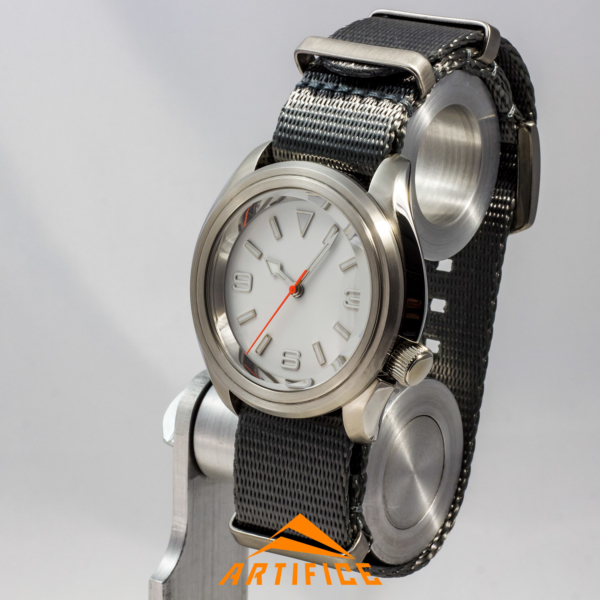 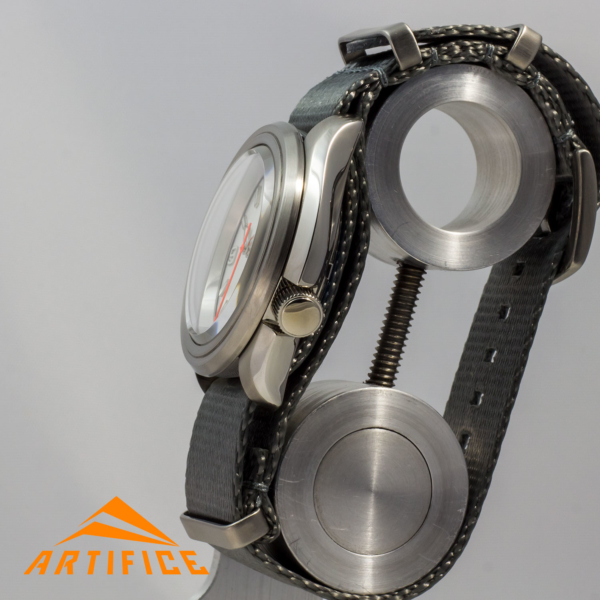 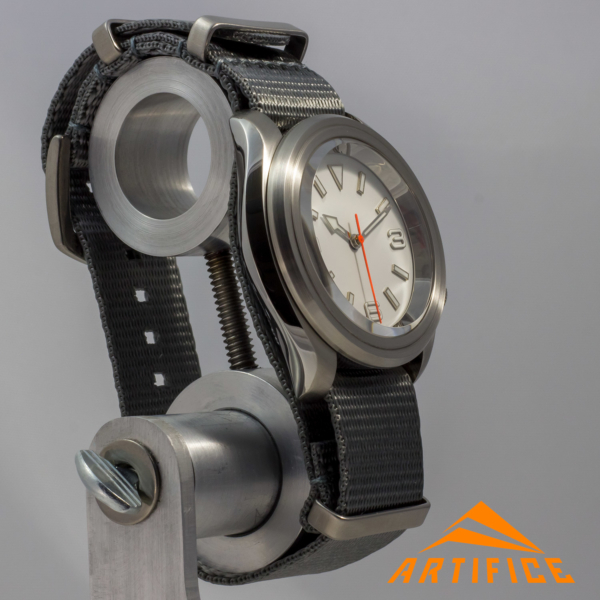 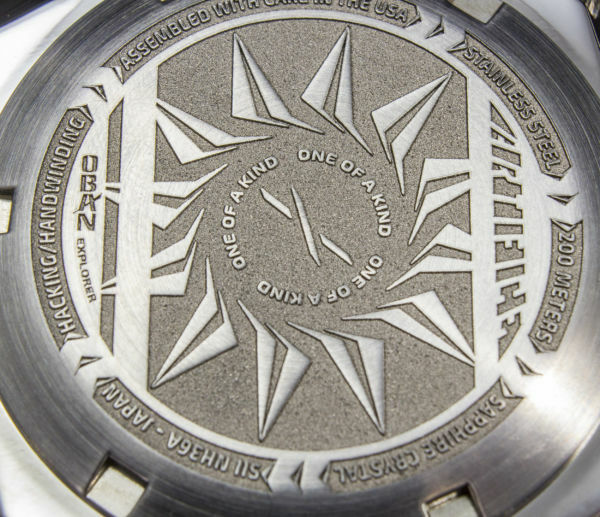 Movement SII NH36 Japan – hacking, handwinding, 40 hr power reserve.